Indian real estate industry has a very vivid picture. The metropolitan cities of India are giving famous cities of the world a run for their money. Some property’s prices in Indian cities are more than even New York and Washington. Pune is one of the most popular metro cities in India. Rising population is increasing the demand for residential property in Pune. Right now Pune is expanding, and barren areas are converted into townships and urban centers. Commercial and residential properties are attracting the attention of genuine buyers and investors. Foreign Investment in Real estate of Pune is also witnessed. The decline in the real industry had brought affordability and availability of residential properties in areas that were previously out of reach for middle-class buyers. But right now Pune’s real estate market is buzzing with activities and the city is extending its borders to accommodate new residential, commercial & industrial areas. Pune, known as the ace city of Maharashtra due to the rise in new business activities like the It, BPO sector, and ITES industry. The areas that have highest real estate values in the city are Deccan Gymkhana, Hinjewadi, Model Colony and Koregaon Park. But, some cannot afford such a high rates. Therefore, top builders in Pune are offering best residential properties in new areas like the Camp, Shivaji Nagar, Kalyani Nagar, Wakdewadi, FC Road, JM Road, and Nagar Road. These areas are economic as compared to the other areas of the city. That’s why, the areas surrounding the prime areas of the city are driving the construction and infrastructure boom. Builders and property developers are trying to tap this opportunity and are trying to upgrade the transport link between the prime areas and the new areas. This will help them to improve the prospects of the property. For example, there is a new bridge, built between Koregaon Park and Kalyani Nagar, which has cut down the distance between these two places by about half an hour. So, the people who have their jobs in Koregaon Park can seek affordable residential properties, Kalyani Nagar. With the favorable price situation arising in the residential property market, genuine home buyers are investing in residential properties in Pune. Owning an apartment or land so that we can build a dream house is the dream of many of us. However the rise in prices is inevitable, buyers with a need will buy the property. Property developers are coming with exclusive offers to attract customers. 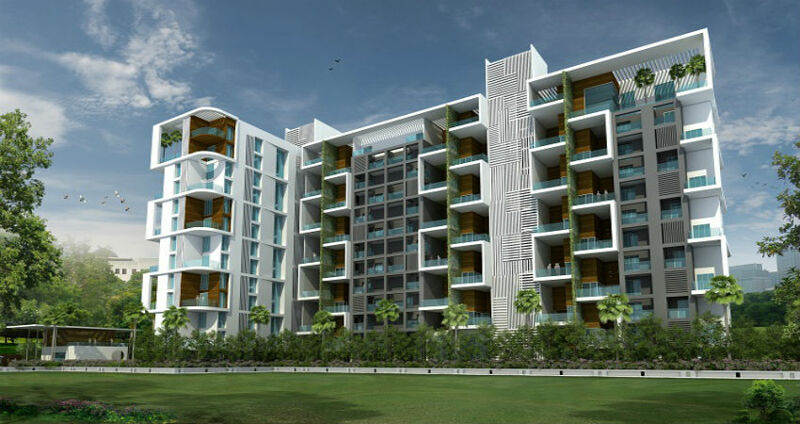 They are offering deals to customers on buying residential properties in Pune. For example, property developers attract customers by offering options like modular kitchen, LCD television sets, air conditioners and even wooden flooring in master bedrooms, etc. Growth of real estate industry of Pune is not a temporary phenomenon. The city will remain in the growing phase in the coming years. And therefore, the main focus of property developers is on the improvement of its infrastructures such as construction of new roads, broadening of existing roads, construction of flyovers and subways. So that they can reduce traffic jams and making the public transport more efficient. With these facilities, Pune will continue to grow and prosper shortly.